This year's 6th Grade Musical is Willy Wonka KIDS! 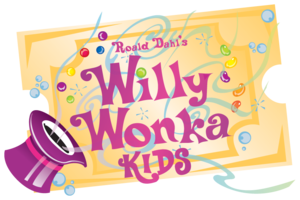 You're invited to this year's 6th grade musical, Roald Dahl's Willy Wonka KIDS on Thursday, Nov. 8th at 7:00 pm! Click on the link above for more exciting information about the musical! The musical is free to all, however, we do ask patrons to bring a non-perishable food item to donate in lieu of a ticket. We will be selling a limited quantity of Wonka chocolate bars before the evening performance. Inside 2 of the chocolate bars will be golden tickets. If you find a golden ticket, you will win a raffle basket donated by Mickel's Nickels! All proceeds support the Le Roy Music Boosters.